Thanks to all who made the 2013 conference a success! We had over 200 participants, volunteers and speakers. Check back in the upcoming months for information about the 2014 conference !! Are you an outdoor enthusiast? 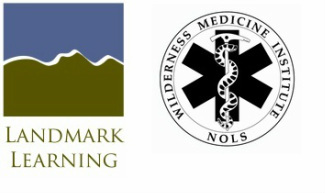 Want to learn more about wilderness medicine? Want to meet others with similar interests? Need some more FAWM credits? Mark your calendar for the 6th Annual Southeastern Student Wilderness Medicine Conference. This affordable conference will teach you to handle common emergencies in austere environments and improvise in limited resource settings. Although the hosting website has changed and we've added some new sponsors, the 6th Annual Southeastern Student Conferences organizers remain the same. So you can expect the same affordable, hands-on, fun filled experience. The conference will still be an awesome way to learn new skills - and practice them. We will return to Winston-Salem for another year. Poster Presentation: Have you done wilderness medicine research? Want to display your work as a poster for others to see? Please submit an abstract to us by March 31st. Further details to follow. broad to specific. The specific definition says that wilderness medicine is the practice of medicine where definitive care is more than one hour away. The broad definition includes any medical care given when there are limited resources or environmental extremes. and its fellowship program, click here. Please contact Patrick Robinson. We have awesome opportunities for all levels of sponsorship! Registration fees include world class wilderness medicine education, a t-shirt, and meals.